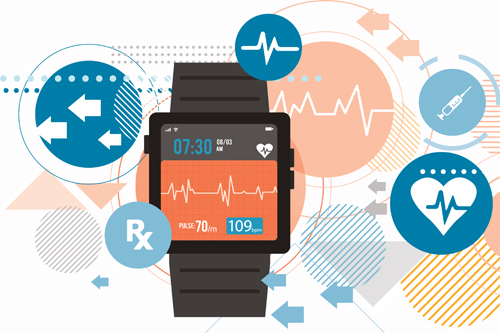 Trials of a new therapy for Parkinson's disease developed by Cynapsus Therapeutics will use a smartwatch-like device to monitor results, thanks to backing from the Michael J Fox Foundation. Chip manufacturer Intel and MJFF are working with Cynapsus to develop the sensor, which will be used to detect when patients with Parkinson's suffer an 'off' episode - a period of time during which symptoms re-emerge despite the use of medicines. The smartwatch incorporates motion sensors that can detect when the symptoms of an off episode, such as muscle stiffness, slow movements, and difficulty starting movements known as 'freezing'. Off episodes remain a major problem for patients who have been on long term therapy with drugs such as levodopa, occurring in up to 50% of all patients on treatment for five years or more. The device will be used in a phase III trial of Cynapsus' APL-130277, a rapid-acting, sublingual formulation of apomorphine, to treat off episodes in patients with Parkinson's. It is paired with an Intel-developed app that will harvest and analyse the data generated from the smartwatch. Apomorphine is a dopamine agonist that is already widely used to treat off episodes but is currently only available as an injection as it has a very short half-life in the body. Cynapsus chief executive Anthony Giovinazzo said that using wearable technology to collect data in the trial "has enormous potential to improve our understanding of how drugs and other treatments impact patients living with the debilitating symptoms of this disease." The technology will be used in a sub-population of patients in the study and tie into an ongoing collaboration between the MJFF and Intel - first signed in 2014 - that is focusing on the use of a 'big data' approach to the collection, storage and interpretation of results from Parkinson's studies. The trial ties in with a growing emphasis on the use of wearable technologies in clinical applications, and the availability of accelerometer sensors has made movement disorders such as Parkinson's disease a prime candidate. Last month, UCB revealed that is trialling a wearable patch and associated app that can be used to monitor and record symptoms in Parkinson's patients, freeing them from the need to write paper-based diaries. MJFF recently launched a new programme called Fox Insight, which aims to gather movement data from Parkinson's patients as they go about their daily activities over a five-year period. All the participants in Fox Insight receive a free Pebble smartwatch, linked to an Android app. Commenting on the Cynapsus trial, MJFF chief executive Todd Sherer said: "Data science approaches hold the potential to accelerate the pace of progress by allowing drug developers to objectively gather and analyse unprecedented volumes of data and more quickly reveal insights about a potential new treatment."